Pale light gold color. 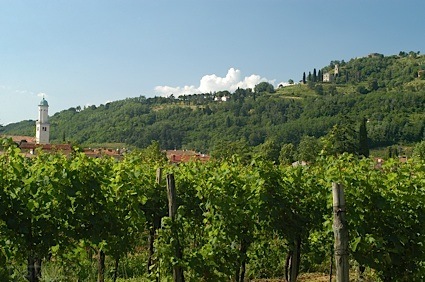 Toasty, fruity aromas and flavors of fresh peach pastry and honeyed nuts with a silky, tangy, fruity medium body and a warming, interesting, medium-length finish conveying notes of nougat and delicate spices with no oak flavor. A nicely balanced viognier with tangy stone fruit flavors. Bottom Line: A nicely balanced viognier with tangy stone fruit flavors. 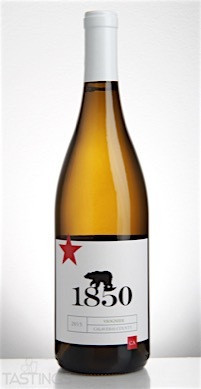 1850 Wine Cellars 2015 Viognier, Calaveras County rating was calculated by tastings.com to be 85 points out of 100 on 1/3/2017. Please note that MSRP may have changed since the date of our review.